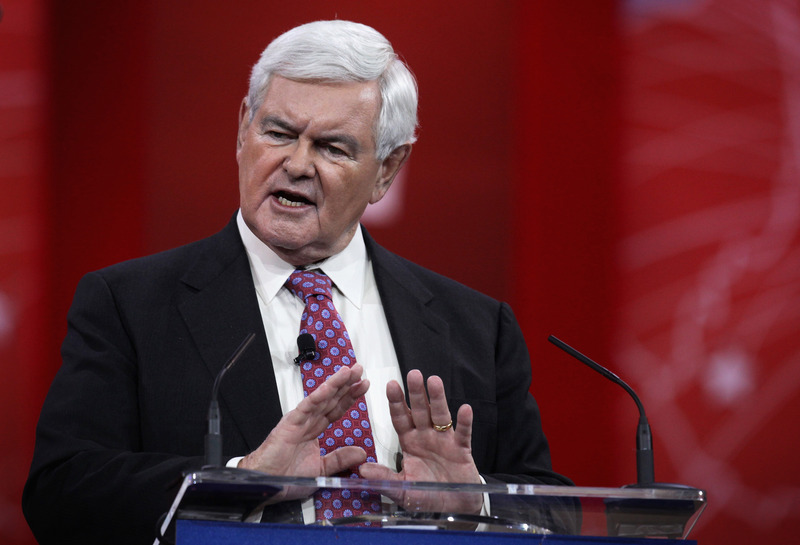 Newt Gingrich Uses "Moon Colonies" To Advance His Platform, But What In The World Are They? Space enthusiasts everywhere might have a lot to get excited about if Newt Gingrich continues in the political spotlight with Donald Trump, even if he's not his vice presidential pick. So, why exactly is Newt Gingrich talking about "moon colonies?" His signature issue is gaining a fair amount of traction after reporters started retweeting old Gingrich posts on social media. Olivia Nuzzi over at The Daily Beast has been retweeting vintage Gingrich gems, and made sure to include some gold about Gingrich's particular affinity for space exploration. Ever since his term as Speaker of the House during the Clinton Administration, Gingrich hasn't been shy about his love of space. During his 2012 bid for the White House, he even turned going back to the moon into one of his signature platform issues. But at the time, people didn't take him too seriously. But with the Washington rumor mill now in full swing after news that former Speaker Gingrich had suspended his contract with Fox News on Tuesday evening before taking part in a meeting with presumptive GOP nominee Trump in Indianapolis early Wednesday morning, all of this adds up to a pretty serious suggestion that the now former pundit may continue in the political spotlight with Trump, despite not receiving a bid for VP. That means that the talk of an American moon colony in the near future may not be all hot air. Gingrich's reasons for wanting a moon colony may seem like nonsense to some, but at the end of the day, establishing a permanent base on the moon will be a boon to the burgeoning private space industry, as well as provide the impetus for reconsidering NASA's budget. It also means that the direction and quantity of research that will be undertaken by our public universities for the near future will be oriented more toward otherworldly goals. At the end of the day, though, no matter how cool it would be to set up a moon base and start to colonize another cosmic body, Gingrich would still be carrying out political duties in the United States of America (on Earth). It is likely that his critics may again challenge his "moon colony" plan as being too pie-in-the-sky when given the pressing concerns that Americans are facing in their day-to-day lives on this planet right now. Until the conclusion of the GOP convention in Cleveland, when Trump could talk about Gingrich's ideas of "moon colonies," we'll just have to wait and see whether or not there really will be a moon base in our near future.